IIM Amritsar was absolutely delighted to host Mr. Ullas Kamath, Joint Managing Director, Jyothy Laboratories. Mr. Kamath is a qualified Chartered Accountant and Company Secretary. He has topped with a degree in Law and has attended the Advanced Management Programme at Wharton Business School and Harvard Business School. Under his leadership, the company has become a multi-product FMCG company and also has successfully completed the much known Henkel Acquisition. For his efforts, he won CA Business Achiever Award – SME category in ICAI Awards 2008. Mr. Kamath delivered an absolutely awe-inspiring lecture to the students of IIM Amritsar. Mr. Kamath took the students of IIM Amritsar to the ride of the success story of Jyothy Laboratories. He explained how the ‘Ujala’ company has become one of the most profitable FMCG companies in India. Going by their description as ‘A Family Owned Professionally Managed Business’, the success story narrated by Mr. Kamath was exemplary. Mr. Kamath also stressed out on the importance of gaining the right competency for the students to be the market leaders. He supported that authority should always be backed up with data. Also, in order to stand out in a company, it is important to have the right attitude and the right skills so that people recognize you and respect you. Mr. Kamath also spoke about the various nitty-gritties of business. He maintained that running a business is similar to running a kitchen as right amount of balance is required to get the best produce. He also exhorted the students to read more about the failure stories and learn from them. The importance of everyday improvement in terms of skills, happiness, and competencies are paramount to survive and thrive in this growing competitive environment. Also, he maintained that if skilled, one should not be intimidated by the larger companies and always approach any problem with logic and confidence. Mr. Kamath, giving the example of Jyothy Laborites also intimated the students about how they are successfully able to develop a decentralized and sustainable plan of production in various factories by empowering the women in the village. Also, he explained that in order to make any system efficient, it is imperative that basic tenets of discipline infused with certain autonomy with responsibility is vested in the employees so that they feel themselves as a part of the process. Finally Mr. Kamath urged the students to love the work and follow a strong code of moral conduct. Adopting a sustainable model of development not only ensures the loyalty of the employees but helps them be the engine of their progress. At last, Mr. Kamath advised the students to never let success get to their heads and failures to their hearts. 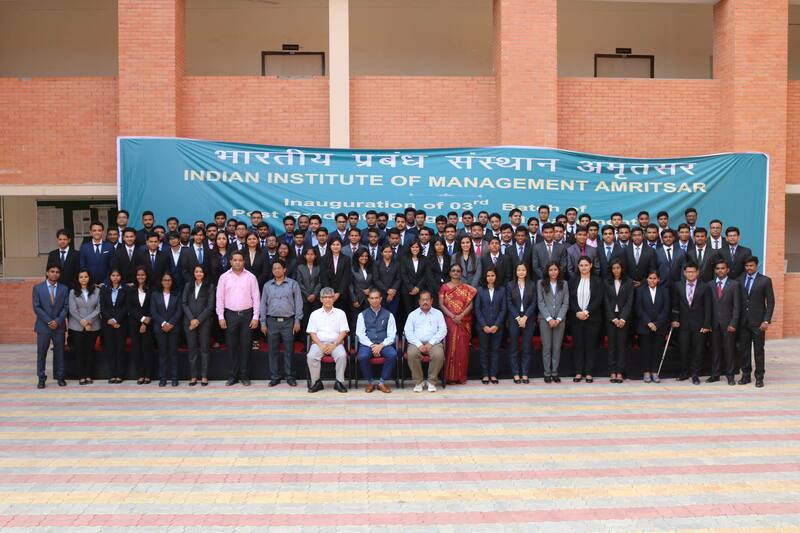 IIM Amritsar is very grateful to Mr. Ullas Kamath for the precious pearls of wisdom that he shared with the students.